Gwendolyn's Goodies: What's New for Spring??!!??!! Spring has sprung, the birds are chirping and the oven is heating up! I'm so excited about the upcoming season that I just had to share some new things. 1. Check the pricing page as new prices will soon be posted. 2. 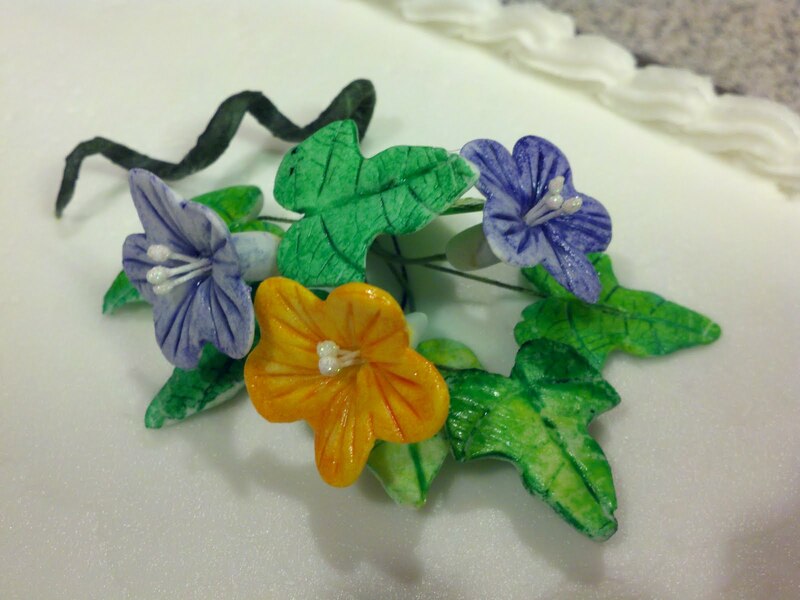 Gumpaste flowers, bouquets and other embellishments are now available. I'm excited about my new found skill and ready to share with you. Below is an example of a recent small bouquet I did. 3. The business cards and other marketing materials have been ordered. I'm SO very excited to have them to share. 4. New contest for Spring - keep an eye out for the upcoming contest which will begin later this month.